← Commercial Auto: Owner of Semi-Trailer not Vicariously Liable for Negligent Operation of Semi-Truck. Faulty workmanship can produce several different types of injuries in addition to the typical claim involving physical injury to other property. Faulty or defective work can cause, and contractors may be confronted with claims alleging, numerous types of economic and intangible injuries such as construction delay damages, idle time damages, increased overhead costs, liquidated damages, lost profits, diminution in value, suppressed rental income and a host of other similar losses. Are the latter types of injury covered by the contractor’s liability policy? The short answer is: Maybe. In Minnesota, coverage for such economic and intangible injuries will depend, in large part, on whether the contractor’s faulty work (1) caused physical injury to tangible property or loss of use of tangible property (i.e., “property damage” within the meaning of the policy); (2) the policy’s insuring clause obligates the insurer to pay “damages because of” property damage; (3) there is a “causal connection” between the economic or intangible injury and the property damage; and (4) the property damage upon which the injury is based is not excluded by one or more of the business risk exclusions in the policy. Standing alone, economic and intangible injuries do not generally qualify as “property damage” under the standard Commercial General Liability (CGL) policy. (By “standard,” I refer to the policy issued by the Insurance Services Office (“ISO”)). Prior to 1973, some forms of intangible injuries could qualify as “property damage.” Prior to 1973, when ISO revised its policy form, CGL policies defined “property damage” as “injury to tangible property” rather than “physical injury to tangible property.” Under this policy language, many courts, including Minnesota, held that intangible injuries, such as diminution in value, qualified as “property damage” under the policy. See, e.g., McDowell-Wellman Eng. v. Hartford Acc. and Indem., 711 F.2d 521, 525-26 & n. 7 (3rd Cir. 1983) (and cases cited therein); Yakima Cement Products Co. v. Great American Insur. Co., 22 Wash. App. 536, 590 P.2d 371, 377 (1979), rev’d on other grounds, 93 Wash.2d 210, 608 P.254 (1980); Safeco Insur. Co. v. Munroe, 165 Mont. 185, 527 P.2d 64, 68 (1974); Hauenstein v. St. Paul-Mercury Indemnity Co., 242 Minn. 354, 65 N.W2d 122, 124-26 (1954). In Hauenstein, the Minnesota Supreme Court held that the insured’s application of defective plaster in an apartment building caused a diminution in value of the building, which constituted “property damage” under the policy. The court noted that the measure of damages was the diminution in the market value of the building, or the cost of removing the defective plaster and restoring the building to its former condition plus any loss from deprival of use, whichever was less. 65 N.W.2d at 125. However, in 1973, ISO revised the definition of “property damage” to require “physical” injury to tangible property. Because the injury to or destruction of tangible property must be “physical,” the majority of courts have held that claims for intangible injury, such as diminution in value, do not constitute “property damage.” See, e.g., Baywood Corp. v. Maine Bonding & Cas. Co., 628 A.2d 1029 (Me. 1993); Selective Insurance Co. v. J. B. Mouton & Sons, Inc., 954 F.2d 1075 (5th Cir. 1992); New Hampshire Ins. Co. v. Vieria, 930 F.2d 696 (9th Cir. 1991); SLA Property Management v. Angelina Casualty Co., 856 F.2d 69 (8th Cir. 1988); Hartford Accident & Indemnity Co. v. Pacific Mut. Life Ins. Co., 861 Fed.2d 250 (10th Cir. 1988) (1973 revision was intended to preclude coverage for intangible injuries such as diminution in value); Aetna Casualty and Surety Co. v. McIbs, Inc., 684 F. Supp. 246 (D. Nev. 1988) (noting that the inclusion of the word “physical” in the policy was designed to preclude recovery for consequential or intangible damages such as diminution or depreciation in value); Federated Mutual Insurance Co. v. Concrete Units, Inc., 363 N.W. 751, 757 (Minn.1985) (diminution in value does not constitute “property damage” under policy); Wyoming Sawmills v. Transportation Ins. Co., 282 Or. 401, 578 P.2d 1253 (1978) (the only reason for the addition of the word “physical” is to exclude coverage for intangible losses). In Aetna Life and Cas. Ins. Co. v. Patrick Industries, Inc., 645 N.E.2d 656 (Ct. App. Ind. 1995), the insured, a supplier, sued its CGL insurer which had refused coverage for the supplier’s settlement with a manufacturer to whom the insured supplied defective particle board. The particle board had been incorporated into the manufacturer’s campers. The court held that the CGL policy did not cover diminution in value of the campers which contained the defective components. The court recited the history of the “property damage” definition under the 1966 and 1973 versions of the ISO policy and observed that the prior version did not include the word “physical” which was added in 1973. See also, Vasichek, Liability Coverage for “Damages Because of Property Damage” Under the Comprehensive General Liability Policy, 68 Minn. L. Rev. 795, 811‑12 (1984) (“[d]iminution in value is an economic loss. Diminution in value of tangible property is an incorporeal and intangible harm measured by market forces, not an injury to the material substance of the tangible property. Moreover, to interpret “physical injury” as encompassing diminution in value would render the word “physical” in the phrase meaningless. Diminution in value of tangible property . . . is not synonymous with loss of use of tangible property. Although the two injuries may coexist in some fact situations, they differ in character and measurement”); Tobi Engineering, Inc. v. Nationwide Mut. Ins. Co., 214 Ill. App. 3d 692, 158 Ill. Dec. 366, 574 N.E.2d 160 (1st Dist. 1991) (delay damages incurred by contractor because of defective materials supplied by insured were not property damage losses); Hommel v. George, 802 P.2d 1156 (Colo. Ct. App. 1990) (economic loss sustained by investors in condominium development caused by contractor’s failure to complete project did not result from loss of use of tangible property and was not covered “property damage”); Lazzara Oil Co. v. Columbia Cas. Co., 683 F. Supp. 777 (M.D. Fla. 1988), judgment aff’d, 868 F.2d 1274 (11th Cir. 1989) (economic damages such as loss profits and loss of good will do not qualify as “property damage”). The fact that economic and intangible injuries do not qualify as “property damage” does not, however, mean that such losses can never be covered under a CGL policy. The insuring clause of the standard CGL policy obligates the insurer to pay both covered “property damage” and “damages because of” property damage. A loss resulting from “property damage” can be recoverable, whether or not the loss itself is tangible. The inclusion of the “because of” language obligates the insurer to indemnify the insured against economic and intangible injuries to the extent such injuries result from, or were due to, covered “property damage.” See, e.g., Federated Mutual Ins. Co. v. Concrete Units, 363 N.W.2d 751, 756 (Minn. 1985) (“the most sensible reading of the phrase ‘damages because of . . . property damage’ requires the insurer to pay all damages which are causally related to an item of ‘property damage’ which satisfies either of the policy’s definitions”); National Union Fire Ins. Co. of Pittsburgh, Pa. v. Puget Plastics Corp., 532 F.3d 398, 403 (5th Cir. 2008) (applying Texas law) (consequential damages consisting of lost profits and diminution in value resulting from the insured’s damage to water heaters was covered by policy); Insurance Company of North America v. Aberdeen Insurance Services, Inc., 253 F.3d 878 (5th Cir. 2001) (applying Texas law) (where the insured’s negligence resulted in the breach of an oil pipeline, delaying the insured’s completion of its contract-based construction obligations, liquidated damages awarded against it were a direct consequence of its tortious conduct and were covered by the insurance policy); Gibraltar Casualty Co. v. Sargeant & Lundy, 574 N.E.2d 664, 671 (Ill.App.Ct.1991), (insurer had duty to defend insured against claim alleging increased costs resulting from construction delays attributable to insured’s design errors); Marley Orchard Corp. v. Travelers Indem. Co., 50 Wash. App. 801, 750 P.2d 1294, 1297 (1988), review denied, 110 Wash.2d 1037 (1988) (stress to trees constituted property damage and the resulting consequential damages were covered by the insured’s CGL policy); Am. Home Assurance Co. v. Libbey‑Owens‑Ford Co., 786 F.2d 22, 26‑27 (1st Cir.1986) (concluding that phrase “because of . . . property damage to which this insurance applies” covers consequential damages attributable to property damage covered by policy); Dimambro‑Northend Associates v. United Const., Inc., 154 Mich. App. 306, 397 N.W.2d 547 (1986) (consequential construction delay damages including lost profits, and additional overhead and labor costs following fire in tunnel under construction were covered by CGL policy); Aetna Cas. & Sur. Co. v. General Time Corp., 704 F.2d 80 (2d Cir. 1983) (lost profits resulting from insured’s defective motors were covered by policy); Todd Shipyards Corp. v. Turbine Serv., Inc., 674 F.2d 401, 418, 423 (5th Cir.1982) (finding the insurer liable for consequential damages resulting from covered property damage when the policy provides coverage for liabilities that arise “because of” property damage); Central Armature Works, Inc. v. American Motorists Ins. Co., 520 F.Supp. 283, 289 (D.D.C.1980) (lost profits stemming from loss of use of a shredder resulting from property damage inflicted by acts of the insured were covered by CGL policy); Globe Indem. Co. v. People, 43 Cal.App.3d 745, 750-51, 118 Cal. Rptr. 75, 79 (1974) (fire suppression costs expended by the state to prevent further damage to property qualified as damages “because of” property damage under CGL policy); Hartford A&I Co. v. Case Foundation Co., 294 N.E.2d 7 (Ill. 1973) (injuries consisting solely of economic loss are not covered by policy). See also, Vasichek, Liability Coverage for “Damages Because of Property Damage” Under the Comprehensive General Liability Policy, 68 Minn. L. Rev. 795, 818‑19 (1984) (“[t]his reading of the phrase ‘because of’ limits coverage of consequential and tangible losses to situations where the insured can show a causal connection linking the losses to covered property damage and, concurrently, renders coverage highly elastic, with its scope adjusting to the causal connection with the ‘property damage’ and other injuries”); Tinker, Comprehensive General Liability Insurance-Perspectives and Overview, 25 Fed’n Ins. Counsel Q. 217, 254 (1975). Thus, once “property damage” has been established, the insuring grant language obligating the insurer to pay “damages because of” property damage means that the insurer may also be responsible for economic or intangible losses that are causally related to that property damage. See, e.g., SCSC Corp. v. Allied Mut. Ins. Co., 536 N.W.2d 305 (Minn. 1995) (language “because of” property damage “requires the insurer to pay all damages casually related to an item of property damage under the policy definitions”); Minn. Mining & Mfg. v. Travelers, Ind. Co., 457 N.W.2d 175 (Minn. 1990) (“[t]he costs associated with cleaning up the contamination are more aptly characterized consequential damages flowing from the direct damage caused to the environment . . . [d]amages which are causally related to covered ‘property damage’ should also be covered under the language of the policy”); Atlantic Mut. Ins. Co. v. Judd Co., 367 N.W.2d 604 (Minn. Ct. App. 1985), aff’d, 380 N.W.2d 122 (Minn. 1986) (policy covered damages for labor “idle time” caused by defective pipe); Westfield Insurance Co. v. Weis Brothers, Inc., 2004 WL 1630871 (D. Minn. 2004) (“given the ‘because of’ coverage grant in the Westfield policy, the Court’s inquiry does not stop after it determines that Promenade’s claim of diminution in value is not property damage; rather, it must also determine whether such a claim is ‘causally related’ to an item of property damage, namely the damage caused by water penetration in 1997”); Reinsurance Association of Minnesota v. Timmer, 641 N.W.2d 302 (Minn. Ct. App. 2002), rev. denied (May 14, 2002) (economic losses such as lost investments, lost profits and other consequential damages are covered because “coverage is not limited to property damage, but includes other damages that flow from property damage”); Western National Mut. Ins. Co. v. Frost Paint & Oil Corp., 1998 WL 27247 (Minn. Ct. App. 1998) (language extending coverage to damages “because of” property damage, “permits coverage for Spartan’s consequential losses, including lost profits flowing from physical injury to its trailers which were caused by Frost’s defective paint”); Western World Ins. Co. v. H.D. Engineering Design & Erection Co., 419 N.W.2d 630 (Minn. Ct. App. 1988) (costs of clean-up, redesign and reconstruction were covered under CGL policy issued to subcontractor because the costs were “causally related” to the property damage). When addressing coverage under a CGL policy, each item of damage should be analyzed separately. See, Thermex Corp. v. Fireman’s Fund Ins. Co., 393 N.W.2d 15, 16-17 (Minn. Ct. App. 1986). Whether an item of claimed loss is “causally related” to “property damage” is generally a question for the trier of fact and Minnesota courts have yet to flesh out the precise standard to be applied in making this determination. Some courts require the loss to be “directly related” to the property damage in order to be covered, while others have applied a “but for” or “arising out of” standard. At least one commentators has suggested that coverage should exist as long as the loss is “fairly traceable” to the property damage. See, Jeffrey W. Stempel, Law of Insurance Contract Disputes, 14-10 (2005) (“where economic damage occurs as a fairly traceable consequence of tangible physical injury, property damage coverage is available”). In Federated Mut. Ins. Co. v. Concrete Units, supra, 363 N.W.2d at 756-57 (Minn. 1985), the court held that some items of consequential damage were “simply too tenuously related” to any property damage to be recoverable as consequential damages under the policy. In Lennar Corp. v. Great American Ins. Co., 200 S.W.3d 651, 679-680 (Tex. App. Houston, 14 Dist. 2006) addressed three items of loss in connection with the insured’s application of EIFS to residential homes. The EIFS entrapped moisture which resulted in water damage to some of the homes. Depending on the home, the water damage included wood rot, damage to substrate, sheathing, framing, insulation, sheetrock, wallpaper, paint, carpet, carpet padding, wooden trim, and baseboards, mold damage, and termite infestation. Lennar presented three types of claims: (1) the costs to repair the damage to homes; (2) the cost to remove and replace EIFS as a preventative measure in all homes; and (3) overhead costs, inspection costs, personnel costs, and attorneys’ fees to assess damage in the homes. [T]he evidence demonstrates Lennar’s intent was to fully remove and replace the EIFS as a preventative measure because it is defective. * * * Lennar arguably made a good business decision to remove and replace all the EIFS to prevent further damage. Nonetheless, considering the summary judgment evidence, we cannot conclude that it was necessary for Lennar to remove and replace all the EIFS in order to repair the water damage, if any, to each home. Therefore, the costs incurred by Lennar to remove and replace EIFS as a preventative measure are not “damages because of . . . property damage.” Accordingly, Lennar must apportion the EIFS-related damages between its costs to remove and replace EIFS as a preventative measure and its costs to repair water damage to the homes. As noted in Lennar Corp., it is generally recognized that costs incurred to prevent future, unknown damage (as opposed to the cost to repair property damage) are not covered by a CGL policy. In Westfield Ins. Co. v. Weis Builders, Inc., 2004 WL 1630871 (D. Minn. 2004), a Minnesota federal district court case addressed the issue in the context of a claim of water infiltration in a townhome development project. Weis Builders contracted to build the townhome development and used several subcontractors. After the building experienced water penetration problems, the owner, Promenade Village Townhomes, LLC (“Promenade”), submitted various claims to Weis Builders. In response, Weis Builders performed a variety of repairs to address the problems. One of the claims at issue in the case consisted of $669,022 of remedial costs relating to counter-flashing, caulking and grout work. Westfield argued that these costs were not covered because they were aimed at preventing future, unknown damage as opposed to repairing property damage. The federal district court rejected the argument because the “counter-flashing, caulking, and grout [was done] in response to claims made against it by Promenade relating to property damage that was occurring in various sections of the Development. In this way, the repairs were causally related to the property damage that the Development incurred.” Weis Builders, 2004 WL 1630871 *8. According to CU, the liquidated damages are not property damage and therefore are not covered by the policy. This argument fails to take into account the language of the policy, which extends coverage beyond property damage itself to damages incurred because of property damage. Clearly, the physical injury to the bridge resulting from the accident caused a substantial delay in the completion of the project. This delay can be considered a loss of use, and any resultant damages, including the liquidated damages, are attributable to the accident. * * * In short, Mattiola caused the accident and the resulting property damage. Accordingly, the liquidated damages arose because of property damage addressed by the policy and are covered by the policy, subject to any possible exclusions. The fact that causally related economic and intangible injuries can be covered under the standard post-1973 version of the CGL policy does not, of course, mean that such injuries will necessarily be covered in all cases. The insuring clause of the standard CGL policy only obligates the insurer to pay “damages because of . . . property damage to which this insurance applies”. 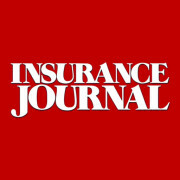 The importance of the phrase “to which this insurance applies” was reflected in the New Jersey Supreme Court’s opinion in Weedo v. Stone-E-Brick, Inc., 81 N.J. 233, 405 A.2d 788 (1979). There, in rejecting the argument that consequential damages resulting from the insured’s faulty workmanship were covered, the court stated: “[t]he qualifying phrase, ‘to which this insurance applies’ underscores the basic notion that the premium paid by the insured does not buy coverage for all property damage but only for the type of damage provided for in the policy. The limitations on coverage are set forth in the exclusion clauses of the policy, whose function it is to restrict and shape the coverage otherwise afforded.” Weedo, 405 A.2d at 790. See also, Federated Mut. Ins. Co. v. Concrete Units, Inc., 363 N.W.2d 751, 757 (Minn.1985) (interpreting phrase “property damage to which this insurance applies”). Thus, as one leading commentator has observed, a CGL policy will only cover intangible losses resulting from “property damage to which the policy applies”, Tinker, supra at 254, and therefore intangible losses arising from damage to the insured’s own work or product — property damage which is explicitly excluded from the policy’s application – is also not covered. See also, Quality Homes, Inc., v. Bituminous Casualty Corp., 355 N.W.2d 746 (Minn. Ct. App. 1985) (if “property damage” is excluded, consequential damages resulting there from are also excluded); Hartford Accident & Indemn. Co. v. Pacific Mut. Life Ins. Co., 861 F.2d 250 (10th Cir. 1988) (“[s]ince the insured’s product and installation are not property damage to which this insurance applies, any consequential damages caused by such products and installation are not covered”); Vari Builders, Inc. v. United States Fidelity & Guaranty Co., 523 A.2d 549 (Del. Ct. App. 1986) (“[o]n the present facts the property damage predicating the consequential damages is specifically excluded from coverage by the business risk provisions [and, thus] . . . damages flowing from such property damage are not covered by the policy”). In summary, in addressing a claim which alleges economic or intangible losses, one must initially determine whether the claim also involves “property damage” as defined by the policy. The CGL policy generally defines “property damage” to include both “[physical injury to tangible property” and “loss of use of tangible property.” Assuming one of the two prongs of the “property damage” definition have been satisfied, the economic or intangible loss may be covered as “damages because of” property damage. That determination requires a sufficient “causal connection” between the economic or intangible loss at issue and the underlying “property damage.” Finally, if a causal connection exists, one must determine whether the underlying “property damage” upon which the economic or intangible loss is based, is subject to an exclusion. If the underlying property damage is excluded, all claimed losses based on that property damage will fail as well. If the underlying property damage is not excluded, other losses will be covered. Of course, the fact that such losses may be covered by a CGL policy does not mean they will be proven or have merit. The underlying construction contract may contain a waiver of some types of consequential damages and the proof necessary to prevail on intangible losses such as lost profits, suppressed rental income, etc. can be rather stringent. This entry was posted in CGL, Coverage and tagged "Because of Property Damage", CGL Coverage, Commercial Liability Coverage, Construction Defect, Economic Losses, Gregory J. Johnson, Intangible Losses, Liability insurance, Property damage. Bookmark the permalink.